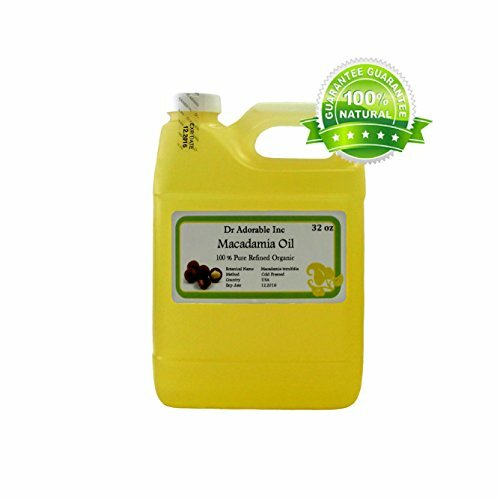 100% Australian Pure Organic Raw Virgin Macadamia Nut Oil. 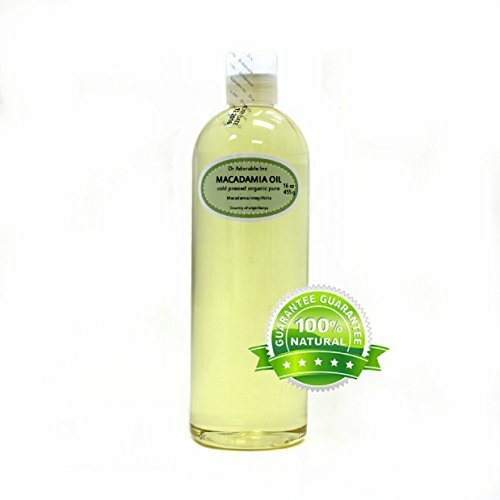 This is our Austrailian grown macadamia nut oil. This Variation is perfect for cooking & Baking; as it has a nice Flavor! Check out our Hawaiian version for best use on skin & hair! Macadamia oil is used in the FOOD industry for it's high fat & nutrition content & mild nutty flavor. It is also used in the cosmetics industry, since they are quickly absorbed through the skin. The oil is known to be a protective oil with a respectable and reasonably quick absorption rate. Some believe Virgin Macadamia Nut Oil to act in a similar way as does the human sebum which naturally protects and lubricates the skin. The oils regenerative properties make it a quality ingredient for products targeting damaged skin. It is VERY similar to jojoba oil, and therefore makes a great replacement as jojoba oil is very costly. Cold pressed extra virgin oil with a mild macadamia nut aroma and taste. Drizzle over steamed vegetables, use to saute fish or poultry, or use as a dressing. 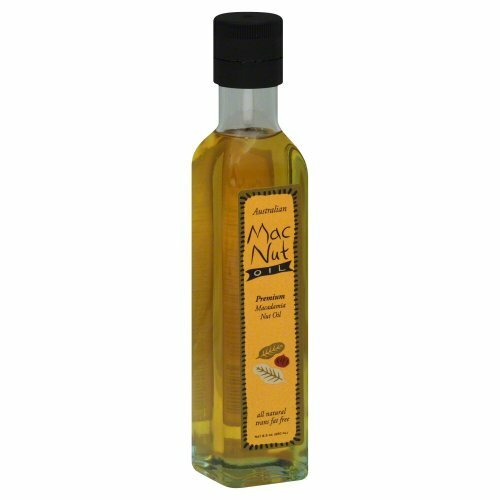 This is a golden coloured gourmet oil with the nutty sweet taste of the Australian Macadamia nut. It can be used for salad dressings, marinades and as a table dipping oil. The oil has a high smoke point of 210C/410F and can be used for high temperature cooking such as stir fries, baking etc. It retains its unique flavour throughout cooking and will not burn. The nutty, sweet aroma enhances natural food flavours. It is an essential ingredient for salad dressings stir-fries, baking and pan frying. Try it as a delicious dipping oil serve with your favourite Dukka. This fine oil comes from the pressed nuts of the Macadamia tree. It is a priceless delight for the skin and has proven itself to be one of the best regenerative oils available. It is high in monounsaturated fatty acids, and closely resembles sebum (the oil naturally produced by ones skin to help protect it). Macadamia oil is a fabulous, protective oil with a high absorption rate and has been successfully used as a healing oil for scars, sunburns, minor wounds and other irritations. 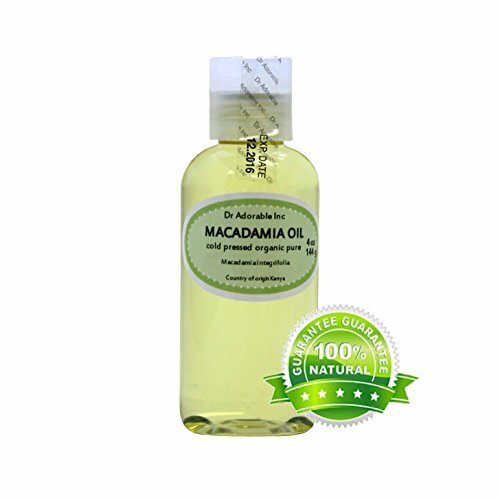 Macadamia oil usage for skin and hair care: 1. Facial moisturizer. 2. Makeup Remover - You can also use macadamia oil to gently remove makeup, even stubborn mascara. Or if you like use half macadamia oil and half jojoba. You'll get great results with any of these options. 3. Eye serum - Because it absorbs so quickly, macadamia oil makes a moisturizing and reparative eye serum that you can even use under makeup. Use just the smallest amount and gently pat it around your eyes. 4. 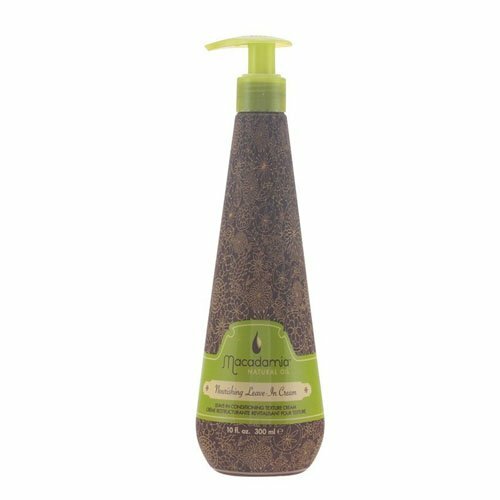 Facial cleanser - Not only will macadamia oil remove your makeup, it will gently but effectively cleanse your skin. 5. 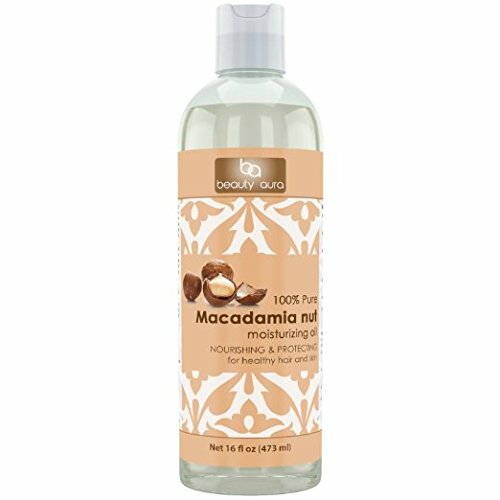 Body Moisturizer - use macadamia oil as an allover moisturizer when you get out of the shower. 6. Hair moisturizer - if you struggle with heat-damaged or dry hair, we would highly recommend using just a few drops of macadamia oil on the ends of your hair. It works wonders to soften and moisturize! 100% cold pressed Macadamia nut oil has one of the highest concentration of monounsaturated fats (oleic acid) than any other available oil. What's the best source of essential fatty acids (EFAs) that delivers an equivalent amount of Omega-6 to Omega-3 fats? Flax seed oil, you might suggest? The answer is a resounding, NO! Flax seed oil, while being a healthy source of Omega-3 fats, has a very low percentage of Omega-6 fats. Macadamia nut oil has the perfect ratio of Omega-6 to Omega-3 fatty acids, 1:1. 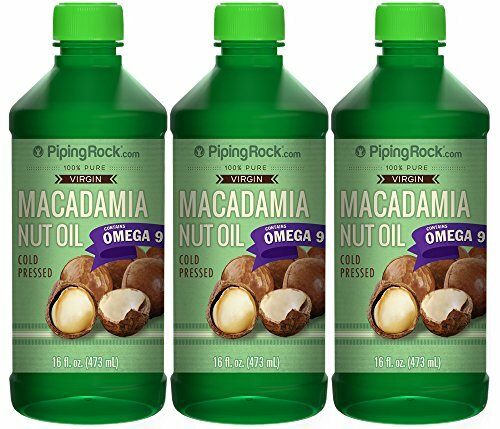 Finally, macadamia nut oil has a sweet buttery taste, is resistant to oxidation, and is extremely high in vitamin E (four times higher than olive oil) making it the ideal heart-healthy, performance-enhancing, fat. A therapeutic oil perfect for all hair types and is especially beneficial to dry damaged hair. The Healing Oil Treatment is instantly absorbed weightlessly infusing the hair with moisture and nutrients for silky smooth healthy looking hair while providing natural UV protection from photo and sun damage. Dry brittle hair is miraculously rejuvenated with increased shine and control. . Design House - Macadamia Oil. Name - Healing Oil. Gender - Unisex. Type - Treatment. Item Weight - 4.2 oz. Garlic Isle Hawaiian Macadamia Nut Oil from Hawaii Size: 5 oz bottle Roasted garlic blended with macadamia nut oil imparts excitement to marinades and sautéed dishes. Excellent for cooking shrimp or chicken. Drizzle a little over your cooked pasta dishes for a pleasant flavor and aroma. No Cholesterol or Trans Fat. The healthiest choice at 80% monounsaturated fat. Macadamia nourishing leave-in cream is a leave-in conditioning texture cream infused with nourishing oils to tame unruly locks, imparts silky softness, shine and uv protection. 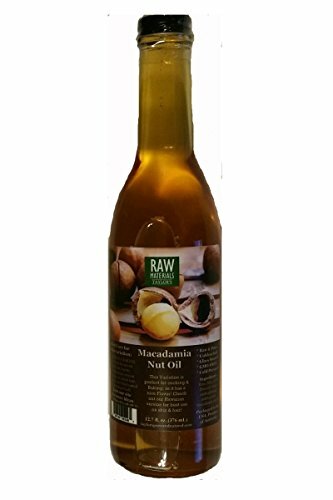 Your New Favorite Cooking Oil Cold pressed from the nuts of the Australian Macadamia integrifolia tree, macadamia nut oil has gained popularity recently as a healthy alternative to cooking oils. A truly versatile product, this nutty oil can also be used topically for nourishing the skin. 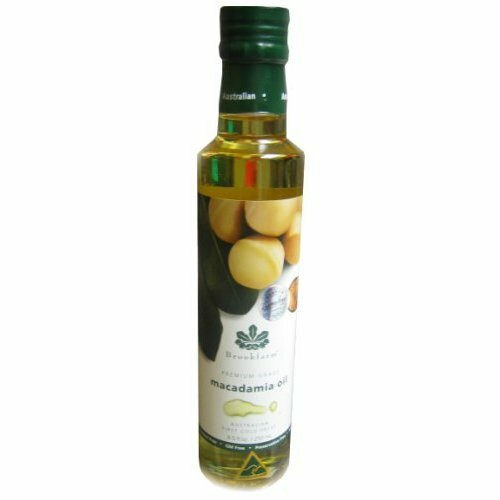 ** Rich in beneficial monounsaturated fatty acids, macadamia nut oil makes a perfect replacement for olive oil in cooking. In fact, it contains more oleic acid (a ?good? fatty acid) than olive oil! With a high heat capacity, a smoke point of 410°F, plus its natural ability to support healthy cholesterol levels already within normal range, macadamia nut oil makes a great addition to any pantry! ** When used topically, this fast-absorbing oil soaks your skin in moisture. Add your favorite essential oils to this mildly nutty-smelling oil for your own luxurious massage oil! For adults, taken one (1) tablespoon one (1) to two (2) times daily with a meal, or use in your cooking as a healthy alternative! Beauty Aura 100% Pure Macadamia oil is highest-quality oil obtained through the cold pressing of the nuts of Macadamia Tree. This oil has clear lighter golden/yellowish color with mild characteristic odor. 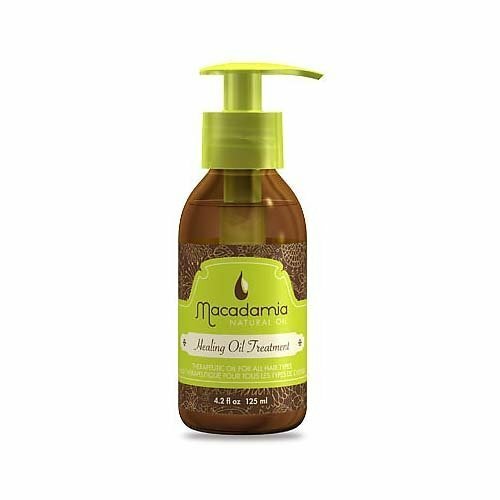 Macadamia oil has the highest concentration of essential fatty acids; Palmitoleic acid and Oleic, it is also rich in proteins and vitamin E. Condition: Dry itchy skin & dull hair in need of simple natural moisturizing. Solution: Macadamia nut oil has great emollient and moisturizing properties. It is a perfect inclusion for anti aging formulas because of its high concentration of Palmitoleic acid (an omega 7 fatty acid). It can be used to moisturize the face or in face serums to help reduce wrinkles and brighten the complexion. It may help mature skin retain suppleness allowing it to remain younger looking.Regular skin massages may help soothe skin conditions including itchiness, dryness and inflammation. It is a protective oil as it may helps heal scars, sunburns, minor wounds and other skin irritations. Combine with a few drops of essential oils to make great aromatherapy massage oil or after bath oil. The essential fatty acids present in Macadamia oil makes it a very good oil for hair care. The highly concentrated mono-unsaturated fats in the oil may help protect the hair and scalp from damage. Its non-greasy and lightweight texture makes it easily absorb into the scalp giving hair proper moisture they need to stay healthy. The vitamin E contained in the macadamia oil helps soften and rejuvenate hair.Regular massages may help eliminates frizzy hair, detangles hair making them more manageable, adds shine to the hair, replenishes hair from damage by protecting them from UV radiation and leaves hair silky smooth. Swanson Macadamia Oil is expeller-pressed to preserve its natural concentrations of vitamins and enzymes. It's a natural source of oleic acid and has a delicious nutty flavor that makes it the perfect complement to stir fries, vegetables and salad dressings. Its naturally high smoke point allows for excellent cooking versatility and helps reduce the production of trans fatty acids. Sun coast gold macadamia oil is made using only delicious Australian macadamia nuts sourced from native trees grown in the lush rainforest regions. not only has a high heat tolerance (smoke point) which makes it a perfect oil for frying but it is also packed with many health benefits for the consumer such as high percentage of monounsaturated fats. with the combination of fiber, vitamins, minerals, antioxidants and its mild nutty flavor, macadamia oil is the choice for the gourmet cook for that delicate and distinct touch. macadamia nuts contain significant amounts of micronutrients and are a rich source of monounsaturated fatty acids. studies show that macadamia nuts enhance heart health by protecting against cardiovascular diseases and support the lowering of cholesterol, as part of a healthy diet.